Hi friends! I’m sharing my favorite romper from our little vacation at the Four Seasons last month! I love this romper for three reasons: It’s great in the heat, it only cost $10, and I can layer with it for Fall! I picture this romper with a super cute utility jacket and some booties. Am I right?! Jacqueline and I post our link-ups every Thursday! This week our theme is rompers or jumpsuits or you can pick any fashion/beauty related post to link up! Come back weekly to visit us! SPOTLIGHT: This week’s spotlight is Audrey of Five Foot Nothing Shopping. 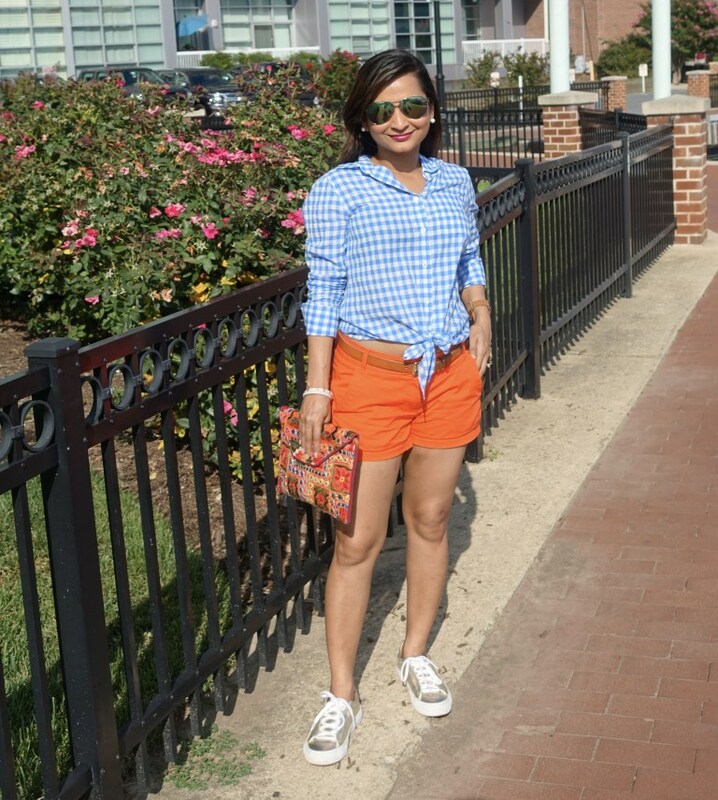 Jacqueline and I adore her look from last week’s link-up! Be sure to stop by her blog and say hello! NEXT WEEK: for next week’s trend we’re featuring Fall transition looks. Thanks so much for linking up each week! Have a fabulous rest of your day! I am a HUGE fan of jumpsuits and rompers! The way you styled yours is so perfect for an easy vacation look. I put together a post talking about how to choose the perfect jumpsuit that you might find useful. I would love to hear your thoughts! That is the cutest romper and you look amazing in it! Love your hair too! What a fabulous deal on that romper!! The print is so fun and your daughter is adorable! you are so right, this romper will be great layered for fall!! You look amazing. 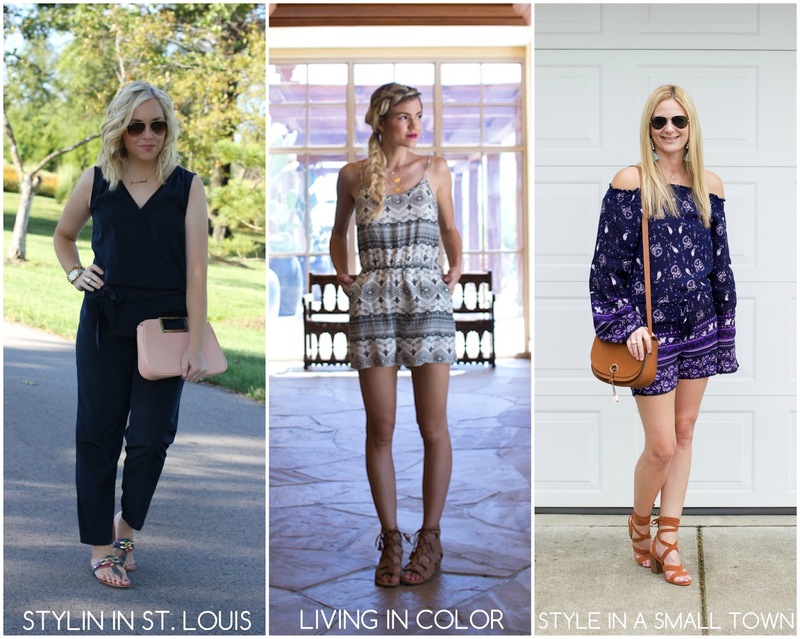 Thank you so much for the feature <3 I do love your romper and how you have done your hair! So lovely! This romper is adorable and your hair is just extra fabulous! Love it!! Such a cute little romper! Have a great weekend. I can't believe how affordable this romper is! Too cute! First off I can't get over how cute your hair is please do a tutorial. You look stunning in these photo! Loving that hairstyle. Thanks for sharing! Super cute look, love it! This romper is so cute… and girl, your hair!!! Goals!